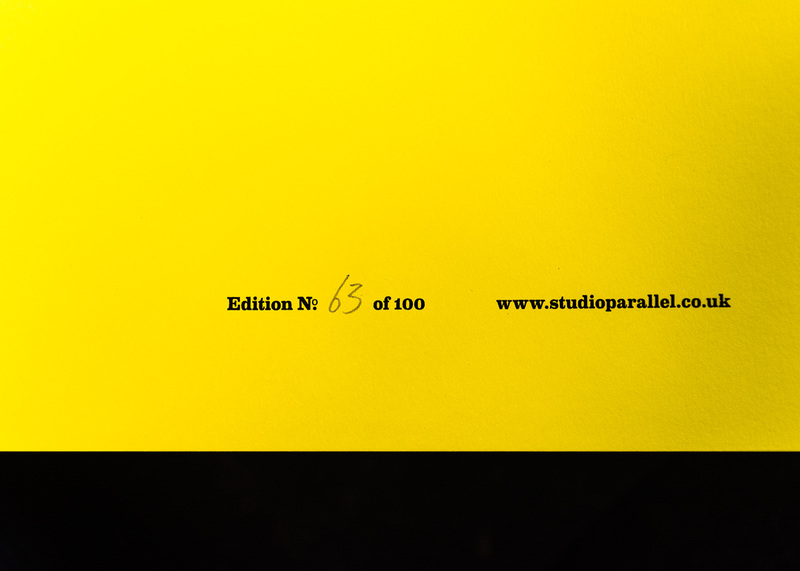 To get into the spirit of the World Cup in Brazil, we’ve designed a limited run of 100 A1 posters screen printed by K2. 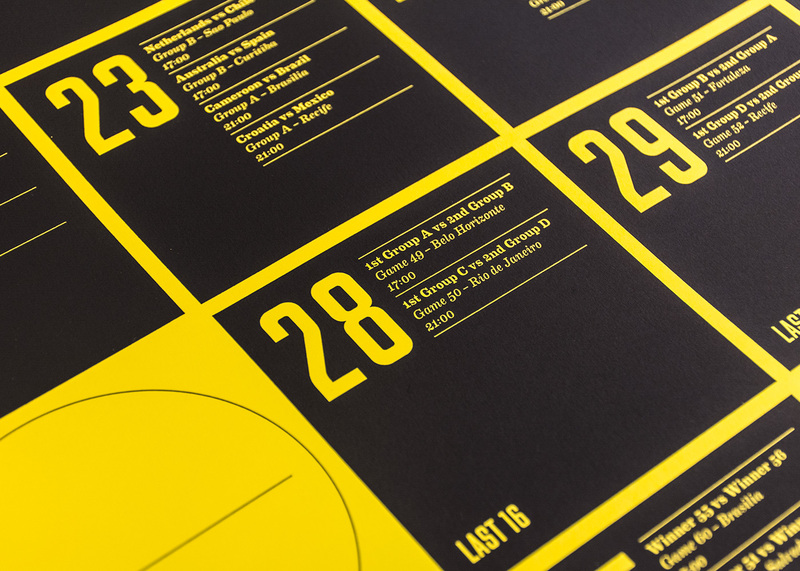 We didn’t want to produce a ‘fill in the scores’ type of chart, instead designing a clean calendar style print, taking inspiration from the 60’s classic Massimo Vignelli calendars. We also used Matt Willey’s typeface MFRED for the numbers and headlines, which lends itself well to the bold look and feel we were after. 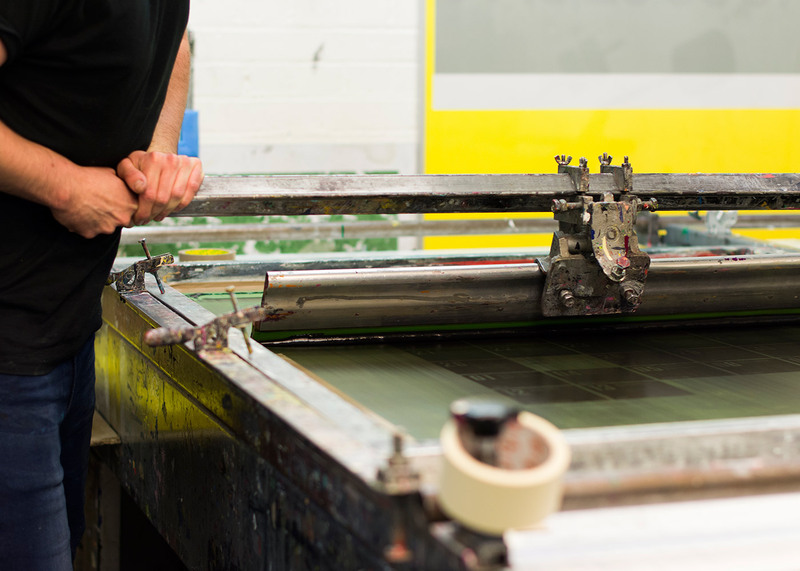 These World Cup posters are printed on the vibrant Factory Yellow Colorplan.